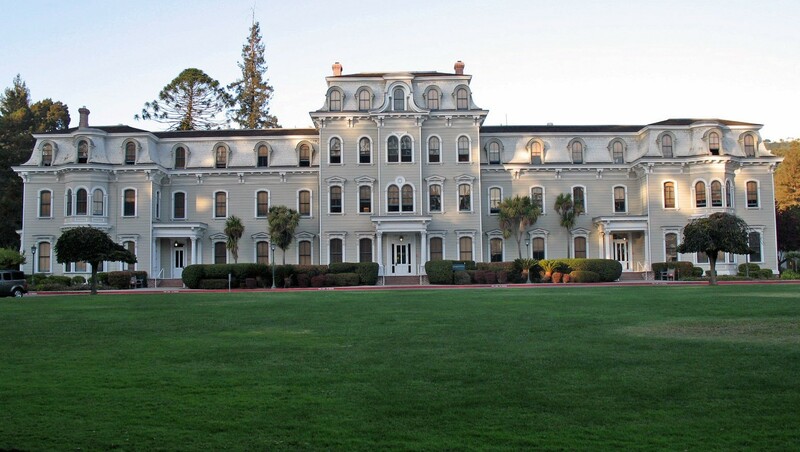 Mills, an Oakland women's college, has recently decided to officially define its acceptance policy toward transgender and gender fluid applicants. According to what Brian O'Rourke, the school's vice president of enrollment and admissions, told the San Francisco Chronicle, Mills accepts three to five students every year who don't identify with their birth-assigned gender. There are a number of women's colleges across the nation that have also been accepting transgender and gender fluid students for some time now, especially on the East Coast, but none have explicitly outlined the practice in their policy before. Mills has now done just that, with a unanimous vote from the trustees enrollment committee in May. The policy, which goes into effect tomorrow for the first day of fall classes, states that anyone who self-identifies as female is eligible to attend the school. This includes individuals who were male-assigned at birth but now identify as female, individuals who were female-assigned at birth but now identify as gender neutral or non-binary (neither male nor female), and individuals who were female-assigned at birth and may transition to male in the future. If a female-born student begins transitioning while already enrolled at Mills, they are welcome to stay and graduate. But fully transitioned men are not eligible, even if they were female-assigned at birth. (This policy does not effect graduate program enrollment, as it is co-educational). Mills has a long history of combating oppression and discrimination with its curriculum and policies. It was the first women's college on the West Coast, one of the first colleges in the country to offer Ethnic Studies, and the first women's college to offer degrees in computer science. The school's "Report on Inclusion of Transgender and Gender Fluid Students," developed in preparation for the policy revision by the Gender Identity and Expression Sub-Committee at Mills, lays out the ways in which the inclusion of transgender and gender fluid students remains in line with Mills' mission as a women's college, citing that both groups are similarly oppressed by systems of power such as misogyny and patriarchy. "As a category of institution whose mission has been the education of students marginalized within or excluded from full participation in post-secondary and post-baccalaureate study, the education of transgender and gender fluid students seems a logical and natural fit for women's colleges of the 21st century," it states.